We noticed our competition offering a barebones APM at a much lower cost. We have decided to offer a more full featured offering at an even lower pricing. Dramatically lower your APM bill! Now you can run unlimited containers per host and be charged just for the underlying host! We have changed our status page provider to https://statuspage.io to provide you with better status updates. If you subscribed to our status page previously, you will need to subscribe again. Details on our blog post. MongoDB drivers 3.7+ are now fully supported. Infra Integrations metrics have been moved to the top level navbar for easier access and organization. Java APM Agent 11.1.11 released with lower overhead for monitoring Cassandra workloads. 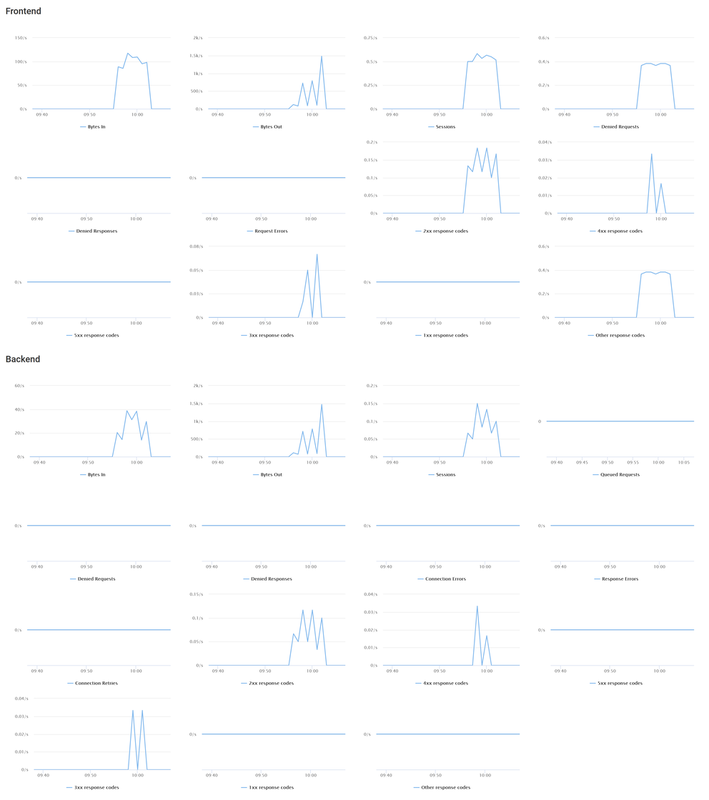 HAProxy monitoring is now available, 100% FREE, in the latest DripStat Infra agent release! Surely Dripstat will start publishing changelogs very soon.